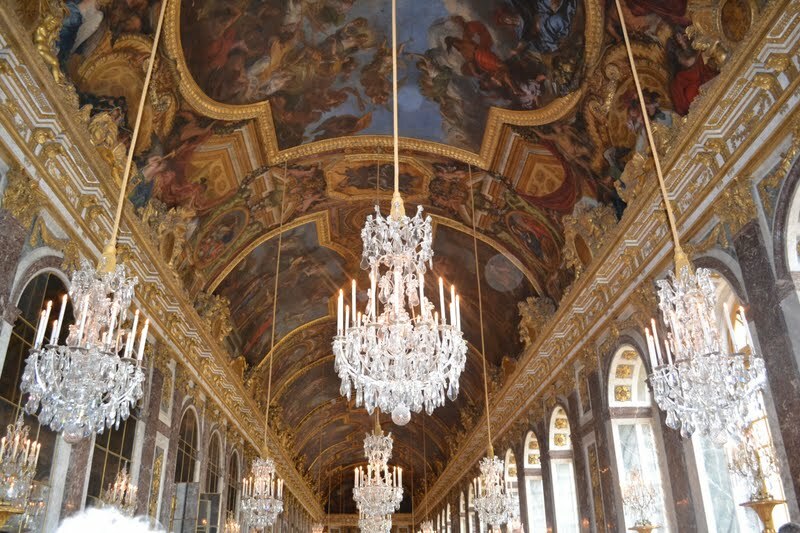 Ever since Kirsten Dunst was eating pastries and drinking champagne with her French entourage in Marie-Antoinette I’ve been fascinated by Versailles. 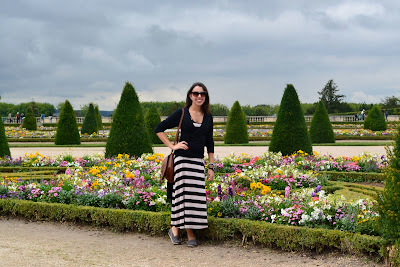 So on my recent trip to Paris I made sure to arrange the opportunity to see the beauty and history that is Château de Versailles for myself. What began as Louis XIII’s hunting lodge was transformed by his son, Louis XIV, to become one of the most remarkable achievements of 18th-century French art. In 1682 the court and government of France was moved here where they lived until the French Revolution. It was expanded on several occasions, eventually bringing it to its 67,000-square-metre size with 700 rooms. The Palace was the house of Louis XIV, also known as The Sun King and his wife Marie-Antoinette, the Austrian princess. You’ll obviously want to see all of the Palace’s most renowned features, such as the Hall of Mirrors, the chambers of the King and Queen and their grand apartments, but we fell in love with the gardens of the Château and most notably Marie-Antoinette’s estate. 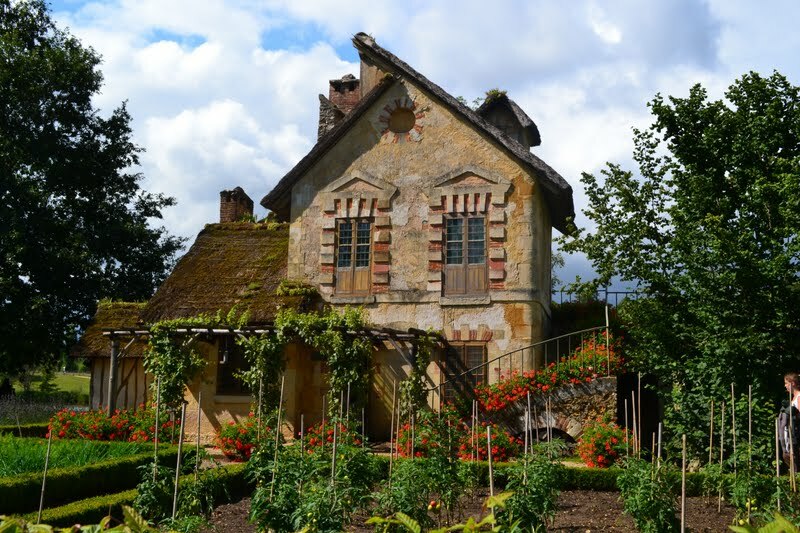 The Hameau de la Reine (The Queen’s Hamlet) was where she went to escape the etiquette of the French court and enjoy nature. It was like her own private village with little cottages blooming with flowers, a milk house, vegetable garden, lake, and even livestock. Walk through this charming area and you’ll feel like you’ve been transported to an 18th century French village far away from the regal of the palace. 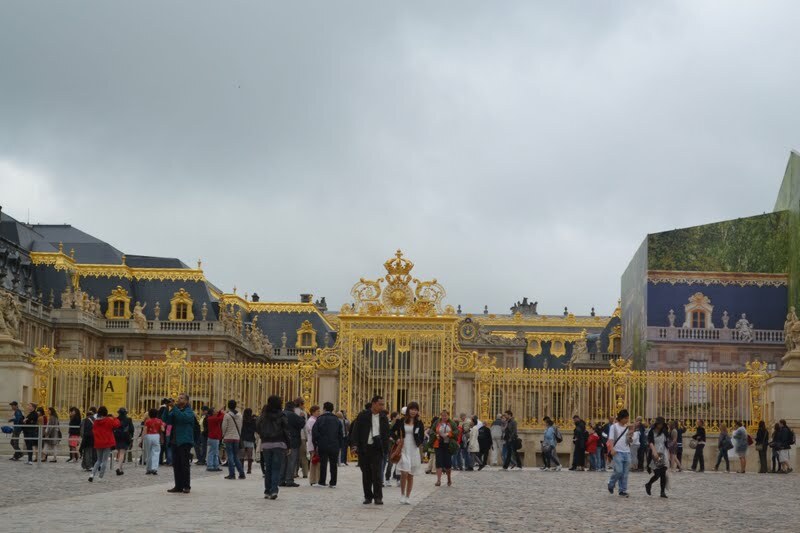 Versailles is about 40 minutes outside of Paris, and is easily accessible by train, bus or car. We took the RER (Paris’ version of the GO Train) and just had a five-minute walk to the palace once we got to the station. It’s pretty hard to get lost, as there will most likely be hoards of other tourists going to the same place. 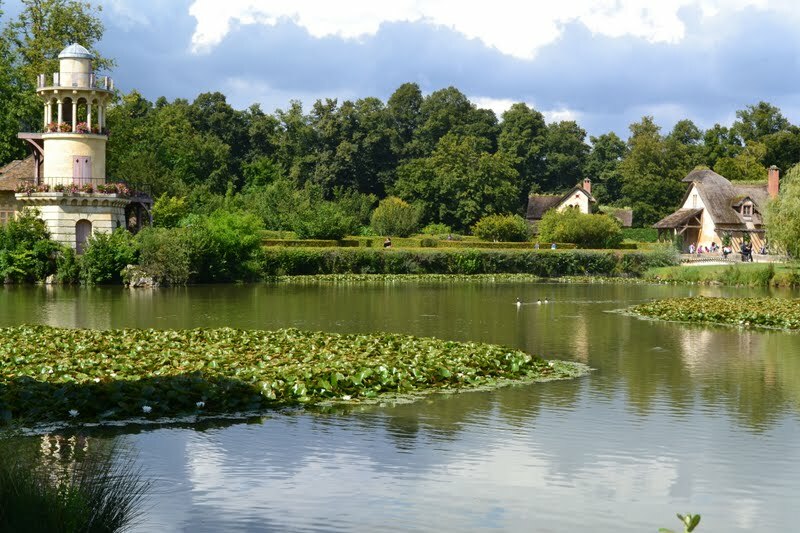 The Palace of Versailles and its world-famous gardens make it well worth a daytrip visit, but it can seem rather daunting because of its size and the sheer volume of tourists. Try to arrive first thing in the morning and buy your tickets in advance to avoid wasting precious time in line-ups. Allow about an hour or two each to wander through the Château, gardens, and surrounding areas. Bring water and snacks to avoid having to buy overpriced food on the grounds, and wear comfortable shoes as the roads are made of cobblestones and pebbles.